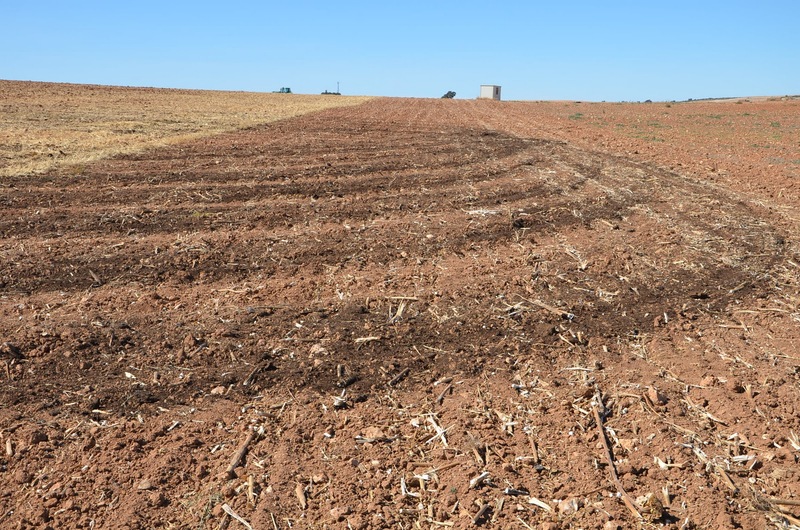 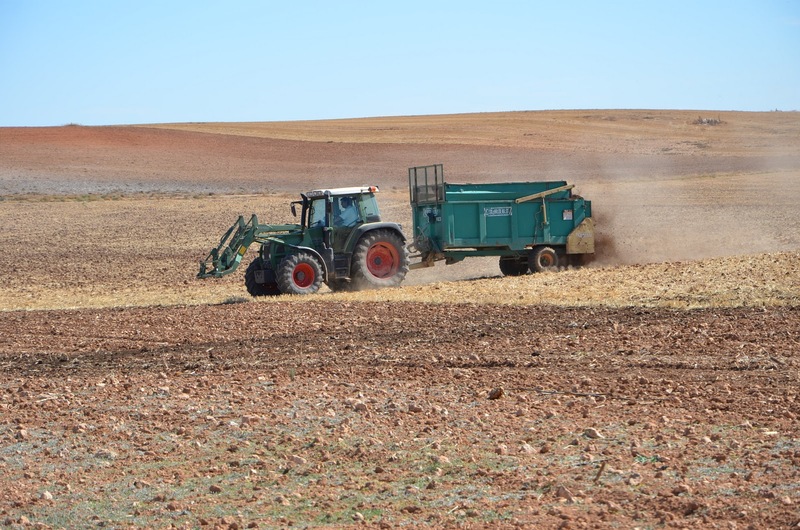 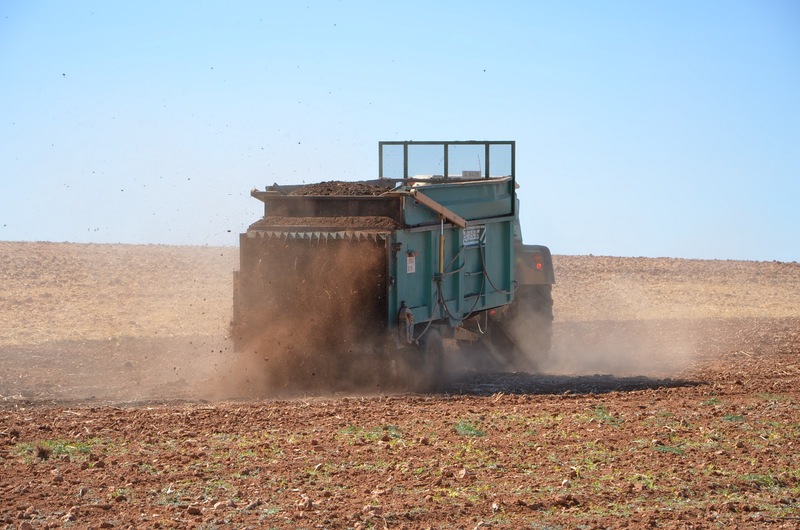 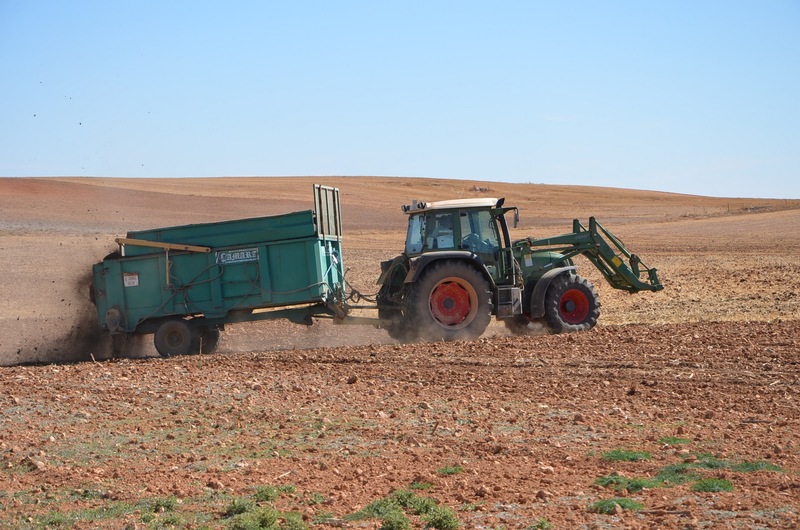 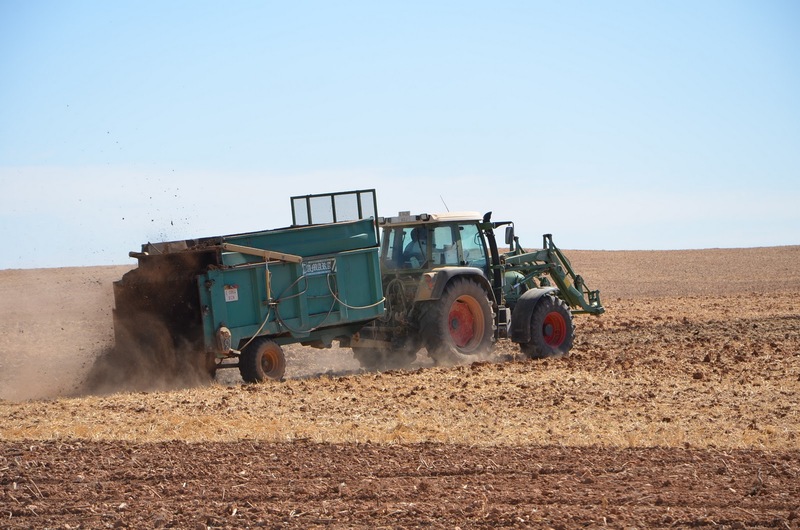 During this days, we continue preparing the soil to sow the seeds although this summer was very dry (it has not rained from May) and this autumn has begun in similar way without rains and with high temperatures. 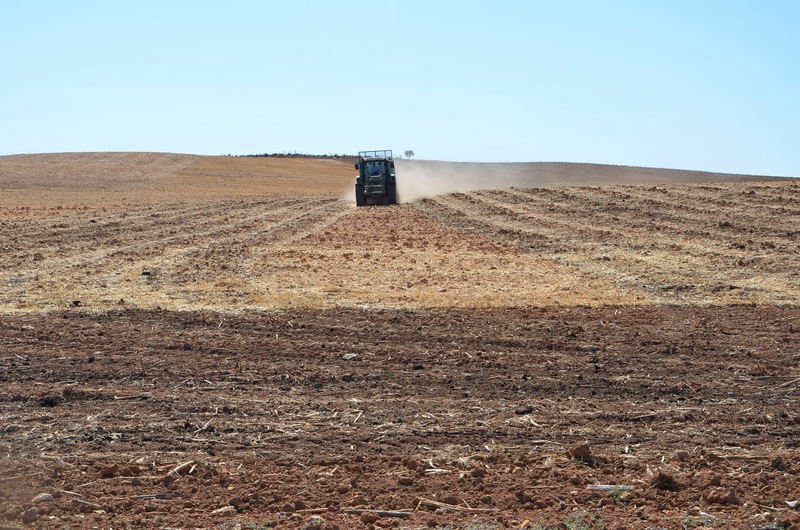 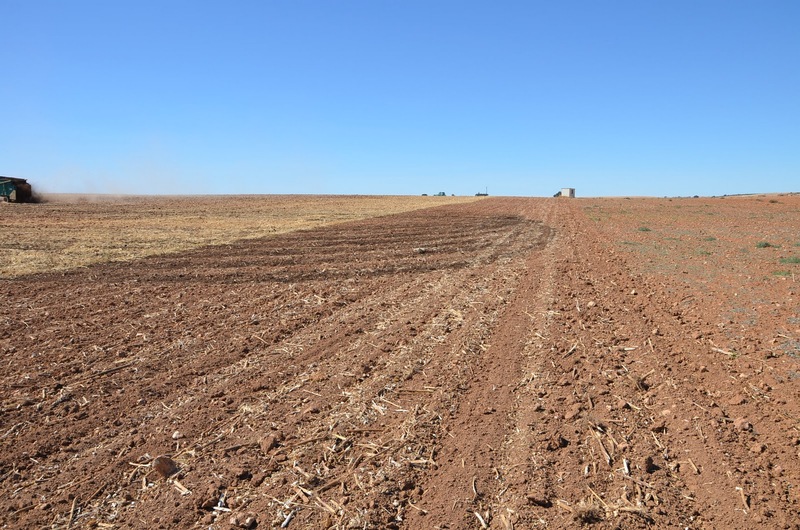 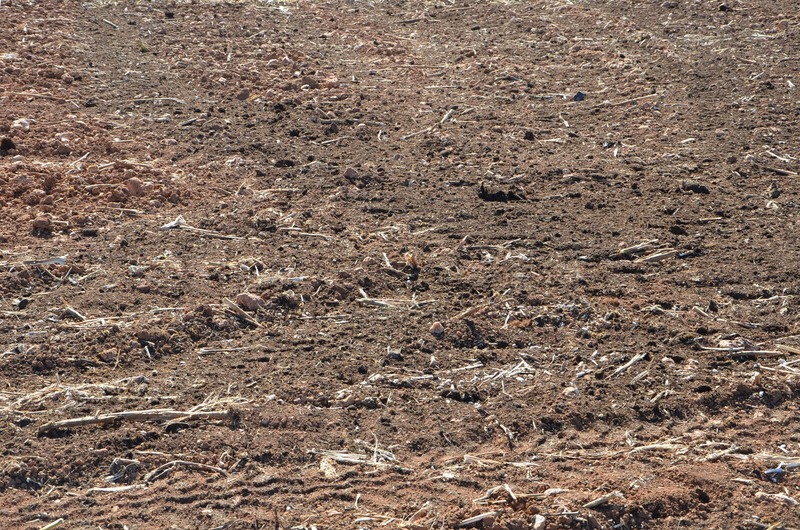 We are working on our fields but we are worried because if it doesn't rain before the sowing, we will have problems with ploughing, fertilizers, harrowing and sowing dates. 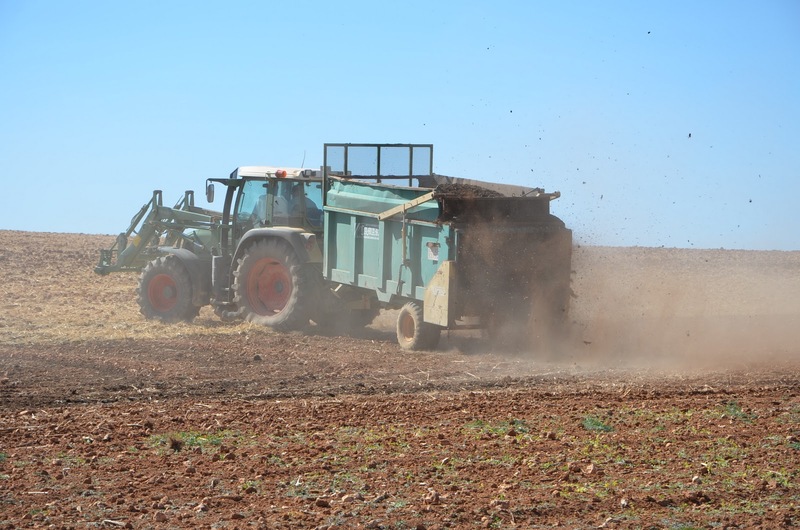 In current times, we are spreading manure of sheep where soil needs more, that is the same where the soil is worse. 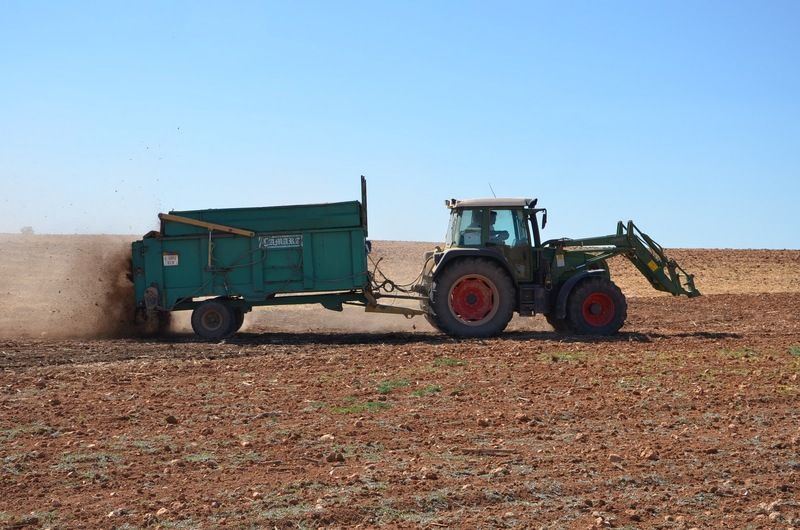 We use about 9000kg/ha and we think this amount is enough for cereals because we are going to fertilize after a few days with inorganic fertilizer. 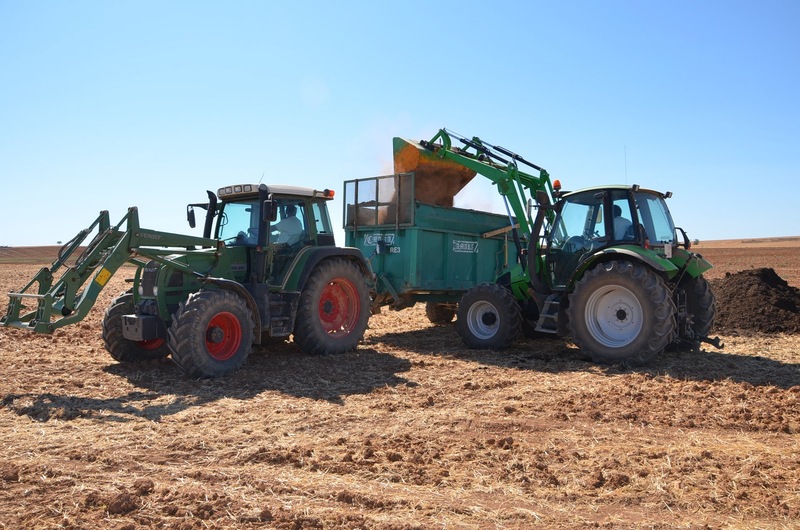 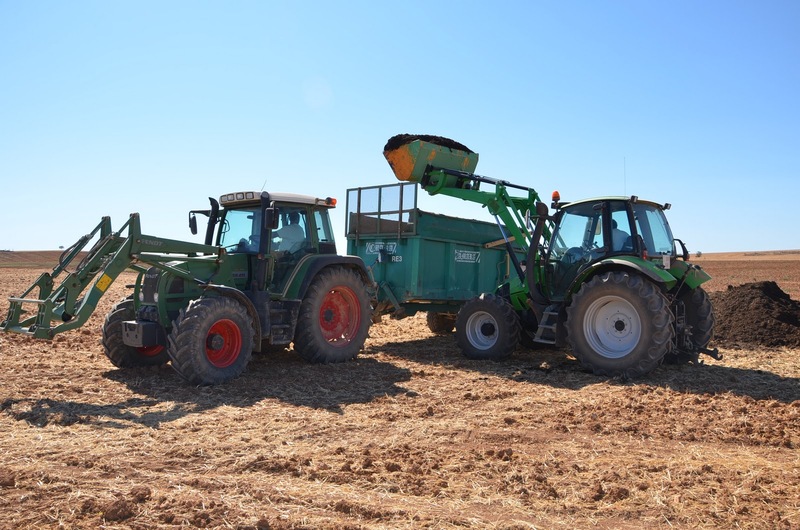 As you can see in our video, the Fendt 411 works very fine with Camara manure spreader trailer and the working speed is high (it is fixed with Tempomat System at 11km/h).